From the Pontarlier based distillery Les Fils d'Emile Pernot and Archive Spirits come this creation. The first batch of Roquette 1797, based on a recipe from that year - 1797. Its powerful herbal profile and the prominent Pontarlier Wormwood gives this absinthe a very unique touch. 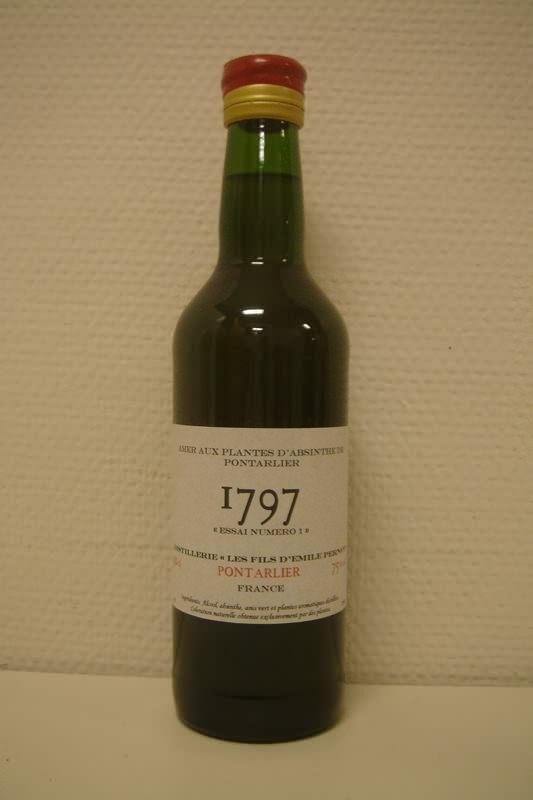 When I was in Pontarlier for the 2006 absinthiades, I recieved a pre-release sample of the 1797. The sample I got was at 85%, compared to the release version which is 75%. The difference in the two weren't extremely noticable, so I will not go into details on that. I will stick to reviewing the release version of the 1797 Essai #1. Based on a recipe dating back to 1797, handwritten with measures such as "a hand full of..." it was not an easy task to recalculate and reproduce this into what an absinthe pre-1800 would have been. The result? Very good. 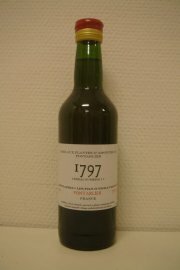 It comes as no surprise that the profile of the 1797 is more medicinal than an absinthe based on a later recipe. However, the medicinal profile here is still very refreshing and not actually too much of a herbal heavy bomb. Packed with top quality Pontarlier wormwood it does pack a huge wormwood punch but it does so without being bitter or obtrusive in any way. The louche is not completely opaque but rather a pale sort of olive tint, which isn't really unexpected from the recipe. It louches fairly well though and I'm not disappointed in any way. The 1797 does do a good job at showing what abisnthe might have been like prior to it's large scale production and super-comercialization. A nice product, both taste wise and in a purely historical aspect. I think the 1797 is unique in the way that it manages to be very herbal and sort of medicinal without it becoming too heavy or too much of anything. It's a beast of an absinthe and taming it is a pleasure.